Syrian Army Enters Northern Part Of Yarmouk Camp In Course Of Its Anti-ISIS Operation In Southern Damascus 5.3846153846154 out of 5 based on 26 ratings. 26 user reviews. On May 2, the Syrian Arab Army (SAA) and the Palestinian Liberation Army (PLA) entered the former positions of Hay’at Tahrir al-Sham (HTS) in the northern part of the Yarmouk refugee camp, according to the Hezbollah media wing in Syria. HTS fighters withdrew from their positions in Yarmouk during the last few days under an evacuation agreement that was reached on April 29. The sources added that the SAA is now reinforcing its new positions in the northern part of the camp and is preparing to launch a new ground attack on ISIS positions in the center of the camp. The terrorist group controls more than 80% of Yarmouk, including its central part. Meanwhile, Syrian pro-government sources reported that the SAA had continued its advance in the ISIS-held district of al-Hajar al-Aswad, south of the Yarmouk camp, capturing A’alaf neighborhood and several positions in the western part of the district. From its side, the ISIS-linked news agency Amaq claimed that ISIS fighters had killed 20 soldiers of the SAA during the clashes in al-Hajar al-Aswad. The source didn’t provide further details. 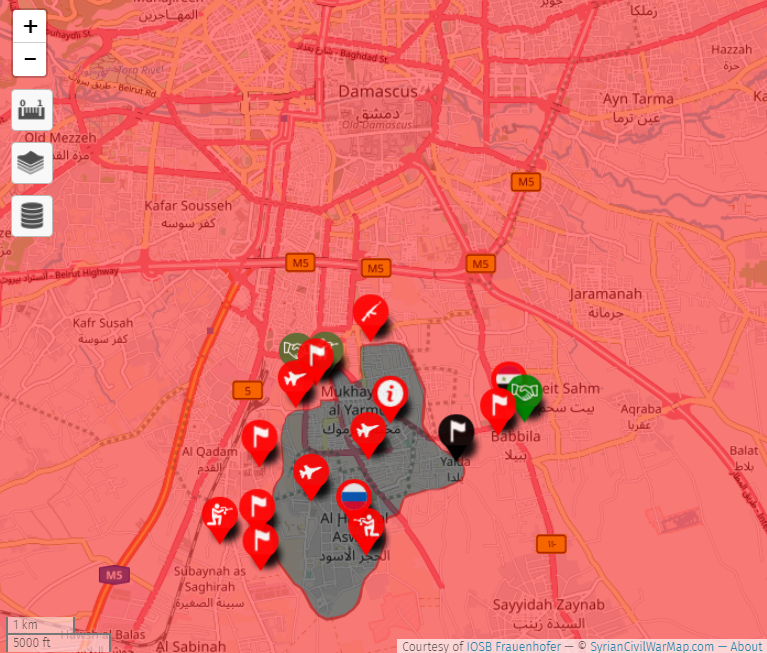 According to local observers the SAA deployment in the northern part of the Yarmouk camp will allow it to increase the pressure on the besieged ISIS fighters in southern Damascus. This will make the remainin ISIS units more vulnarable for the Syrian military’s artillery and air strikes. The Holocaust crimes committed by Zionist Israel to threaten Zionists to refuge to Palestine and create Israel. Zionists will do these crimes again and again in the world as long as the Washington and Europe support is with them. Zionist Israel are such criminals that have no humanity and no religion. They just disgust Jewish religion. 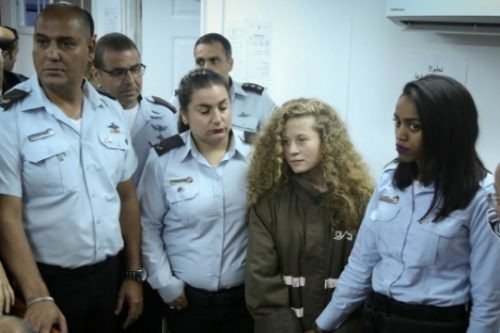 Zionists are so tricky that they put their own crimes on others and clean themselves from their own crimes. What crimes Zionist Israel are doing in Palestine are not allowed in any religion. 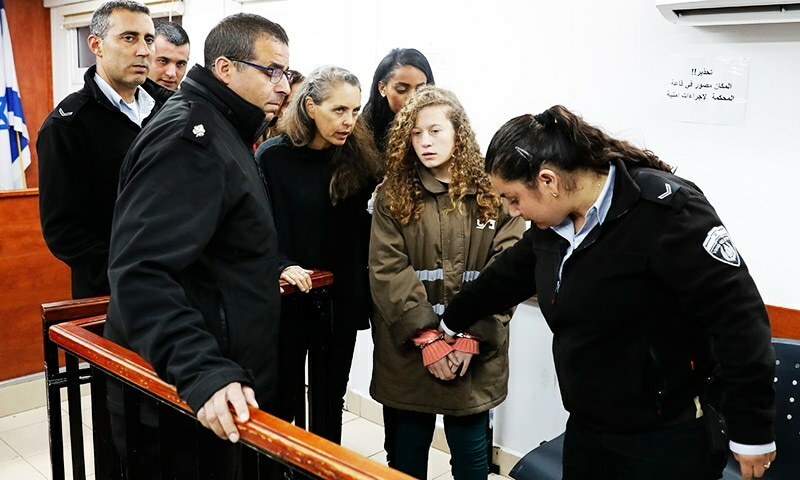 Israeli terrorists have kidnapped Ahed Tamimi and her parents at midnight by gunpoints. Nobody knows where Israel have kept them hostage. Each year Israel kidnap thousands of adults and small kids from the streets and hold them hostage. Many of them Israel kill in fake combats. The US and UK brutal regimes have invaded Palestine and have held all Palestinians hostage for last 100years. They support brutality and terrorism in the Middle East. If Vietnam can be freed from American regime army then Palestine can also be freed from US and UK. Israel should go back to their native countries. I haven’t heard that any news anchor or leader from a Muslim state have visited Palestine and Yemen or they have made any telephonic call to them that how life is their. They have ignored the Yemeni and Palestinian kids and the historic Aqsa Mosque. Either they scar or they take blood money. The Russian president Putin, Prime Minister and defence minister have visited Palestine. They are brave. All Muslim leaders and their news anchors are losers. God will punish them like Ex PM Nawaz Sharif the most c*r*upt and th*ef. Rob. of all the people that die every day in the World, you’re not one of them. Why is that? “Why is that?”. Because justice and common decency are served if people like you go instead. Is not it hypocrisy? You criticize his views in the comment, and you make the same views! ED you seem to me to be another Hasbara Troll….we have a nice list for People like you…Wanna be on it? Actually, I’ve been coming to this website for ages, but put me on whatever list you like if it makes you feel more like a man, I really don’t give a sh!t. Empire Files: How Palestine Became Colonized. Before 1900 there were no Jew in Palestine but as British forces entered in Palestine so they brought Jews with themselves to Palestine. No to two state solution. Mahmoud Abbas should not do favour to Israel for two state solution in Palestine. There will be no peace in Palestine until complete removal of illegal European migrants (fake Israel) from Palestine. Mahmoud Abbas should not allow Israel on his land because that is a big threat to the surrounding countries in Middle East. The surrounding countries should join Mahmoud Abbas and kick out all Israeli migrants from Middle East. US, UK and Israel do not want that Jordon should be able to defend their nation from them. Therefore, Jordan should have to join Russia, China, Iran and Pakistan and kick out all foreign forces from their land. Jordan should get Pantsir-S and S-400 missile defense systems from Russia to counter any threat from US, UK, France and Israel. Great defense is the guaranty of survival in this world. Develop their own defense industry. If Palestine can make weapons then why not Jordan and Lebanon. Hajar Al-Aswad gone because that is surrounded from three directions. Left Taqadam and Yarmouk that will be next. ISIS brutal commanders from Israel want to kill their poor fighters by SAA. If ISIS surrender or not still the Yarmouk pocket will be liberated with in five days. US-backed alliance launches ‘final’ battle against IS in Syria. “Our forces with the forces of the international coalition have started the last stage” says Syrian Democratic Forces. Is this US led coalition operation is legitimate without the permission of Syrian government? Absolutely no because the US led coalition is the coalition of perverted leaders.